This is the second post in a three-part series. The first post was a brief introduction and a video. The final post will be a gallery of photographs I took during the trip. Travelling day. We set off from Basel around 9am or 10am (I can’t remember exactly now), and drove to Bern to cast our postal votes (it was General Election season) before heading to Paris. It was a nice drive, with a lovely view of the countryside and smooth traffic. It was a long drive, though, and we arrived in Paris at around 5pm. Once there, we headed straight to Houilles, where we had found an apartment to stay. 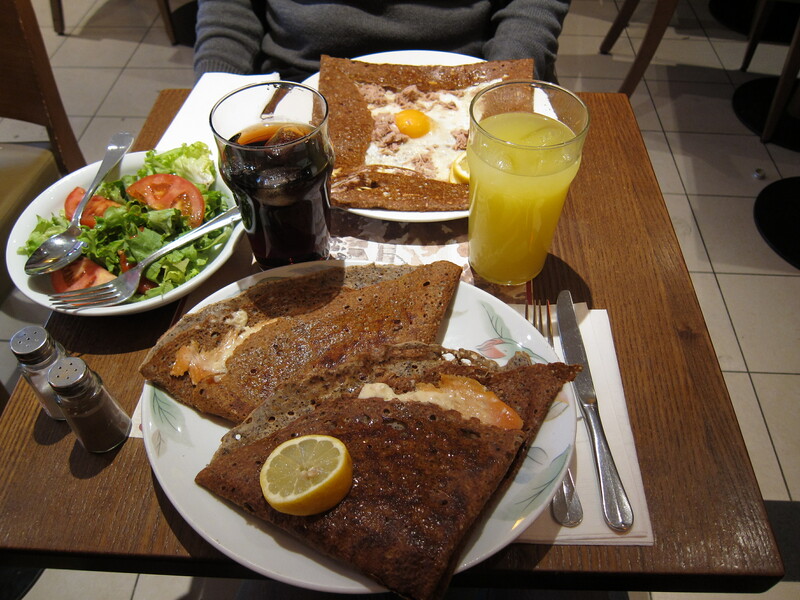 While not located directly in Paris, it was very convenient and perfectly suited our needs. It had all the amenities and facilities we needed for a short stay, had basement parking, and the RER train station was just a minute’s walk away. And the train ride to Paris took only 10 minutes. Super convenient. We found the apartment over airbnb, a brilliant concept where people rent out their extra rooms or apartments to vacationers. The advantage of using airbnb is that you get to stay in actual (and sometimes unique) houses or apartments, as opposed to the typical hotel room. As a host, you get to earn extra money from letting out an extra room you may have. As with anything else, of course, you need to do your research. Read the reviews from previous renters and vacationers, and make sure you make an informed choice. In our case, we had no complaints and were perfectly happy with our stay (and our host). I would definitely recommend it. If you’re interested to find out more about airbnb, click here. The apartment we stayed in is listed here. So after “checking in”, we unpacked our stuff, freshened up, and took the train to Champs Elysées, where we met up with my sister-in-law and her husband. We walked around a bit, trying to find a place to have dinner. 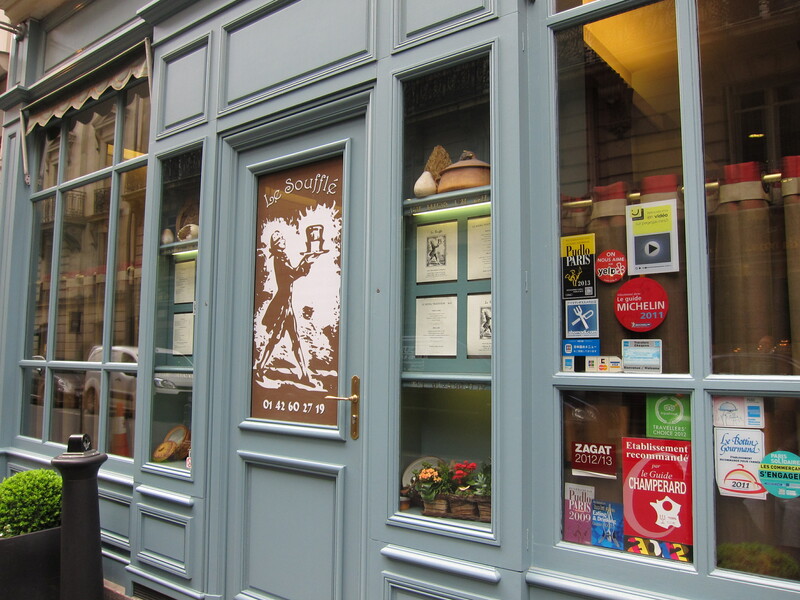 Unfortunately a lot of the restaurants we looked up on TripAdvisor were closed on a Sunday evening, so we decided to try a small little brasserie called La Boétie. 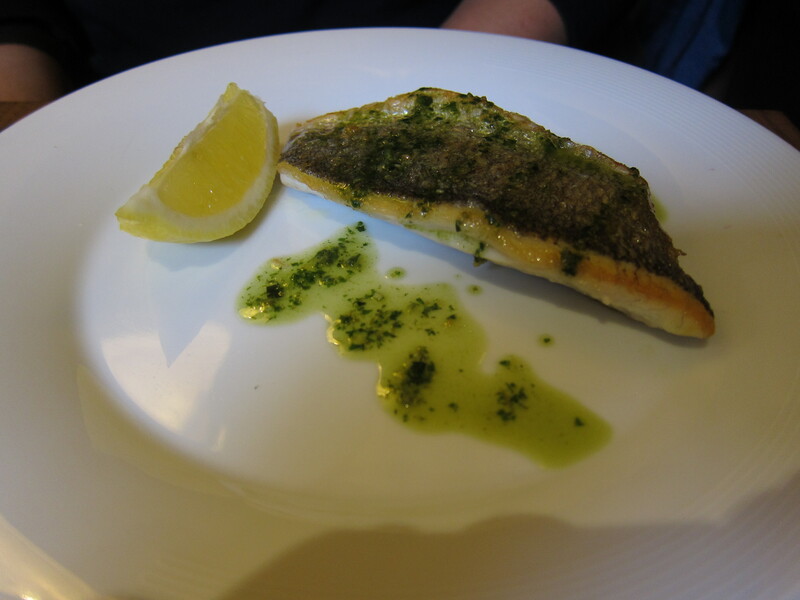 Fortunately the food there was good, as was the service. For some reason I didn’t take any photos of the place for reference, just short video clips. With full stomachs and bodies tired from the road trip, we decided to head back to the apartment and call it a day. We had a lot of walking and sightseeing ahead of us over the next couple of days, and we could do with some rest. La Boétie doesn’t seem to have a website, and it isn’t listed on TripAdvisor, but I did find what looks like a review on it. You can check it out here. It’s in French, though. You can never get enough of it – it’s just so massive. 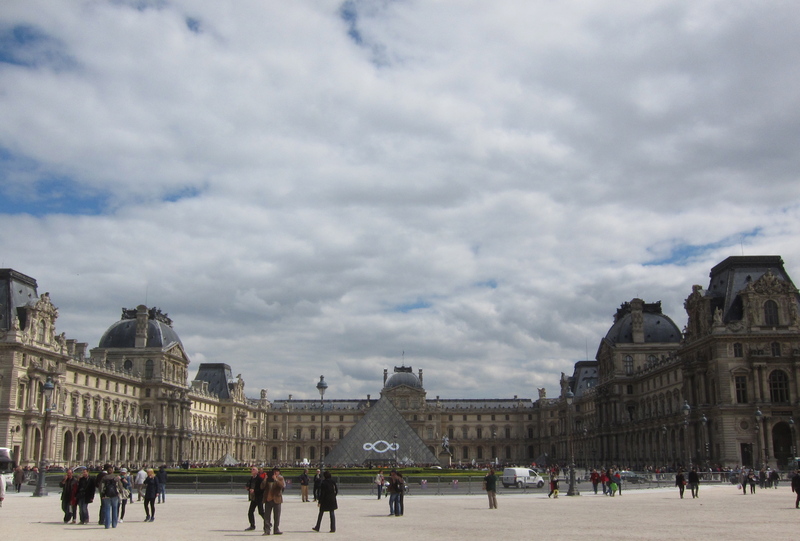 It boggles the mind just how much there is to see in the Louvre, considering that it houses art pieces and historical artifacts from just the earlier periods, ie from the ancient world, through the Roman and Greek periods, up till the Renaissance. There’s also a new Islamic Arts wing, which we managed to check out. From The Louvre we walked down Place du Carousel and Jardin des Tuilleries, admiring the greenery along the way. 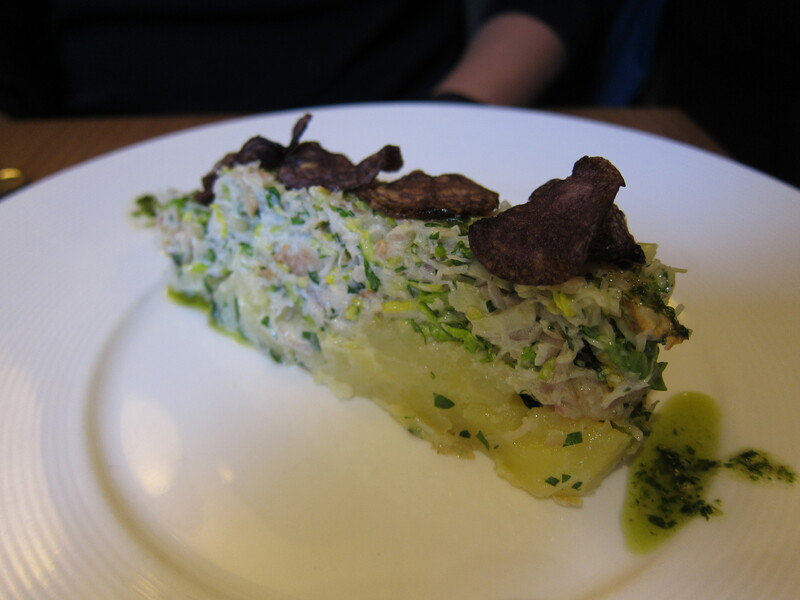 It was lunch time by then, so we made a detour to Rue de Mont Thabor nearby, and headed to Le Souffle. 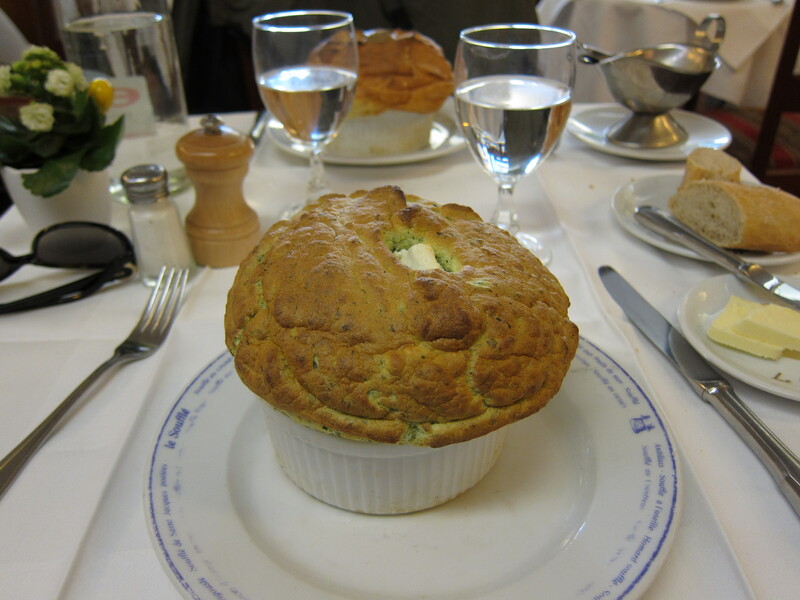 A cozy little restaurant which serves – surprise, surprise – a wide variety of delicious and delicate souffles. 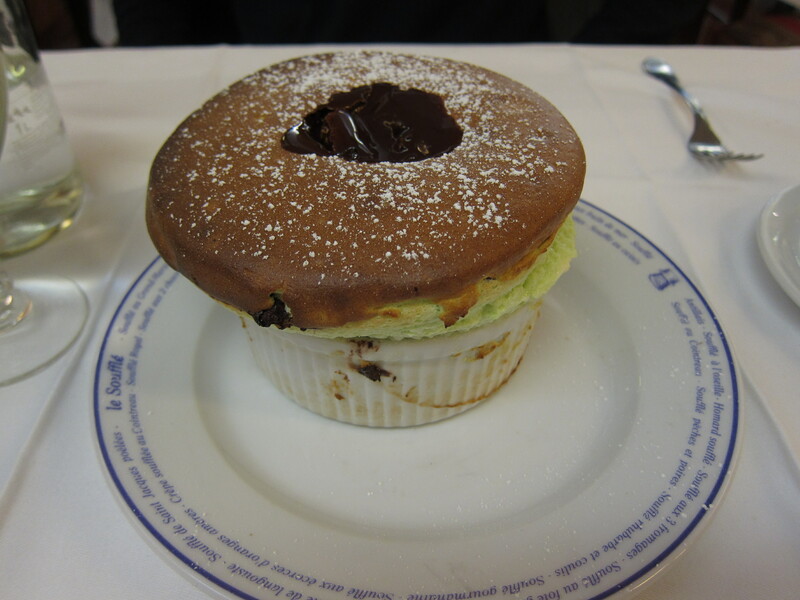 You could, if your heart desires it, have a 3-course souffle meal. We weren’t that hungry, so we skipped the entree and just had mains and dessert. Light and airy. Like a fairy for your tummy. How could anyone say no to this? The restaurant from the outside. Ok maybe writing this post during Ramadhan wasn’t such a good idea. That chocolate souffle photo is driving me crazy. If you’re interested, you can find out more about Le Souffle on their website. After our lunch detour, we headed back to Jardin des Tuilleries – but not before making yet another detour to Pierre Hermé on Rue Cambon for my post-dessert dessert. There’s no such thing as too much dessert, you see. 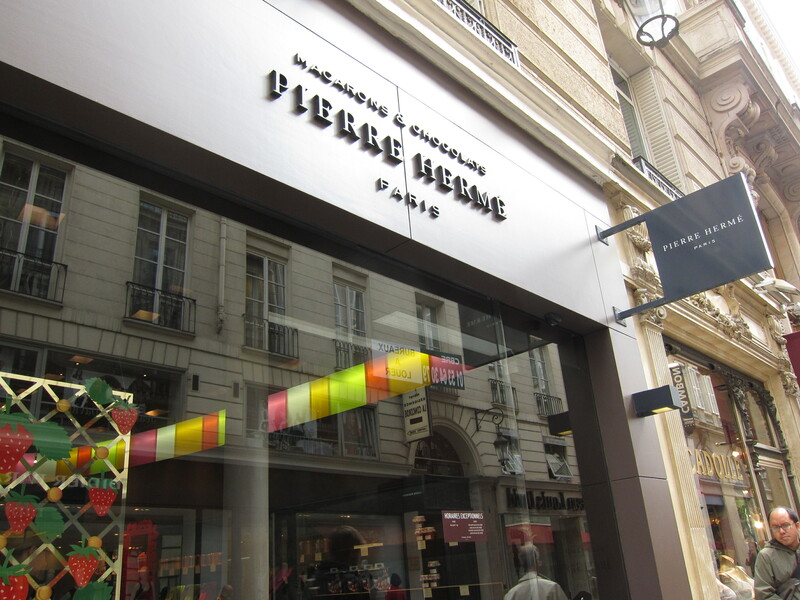 And when it comes to macarons, I love me some Pierre Hermé. With a small bag of colourful macarons firmly in my grasp, we finally headed back to Jardin des Tuilleries and walked down Place de Concorde and Champs Elysées towards Arc de Triomphe. This route, by the way, is part of the Axe Historique, which is a row of historically significant monuments and buildings that cuts through the city from the Louvre in the east, to La Grande Arche La Défense in the west. More information on the Axe Historique is available here. 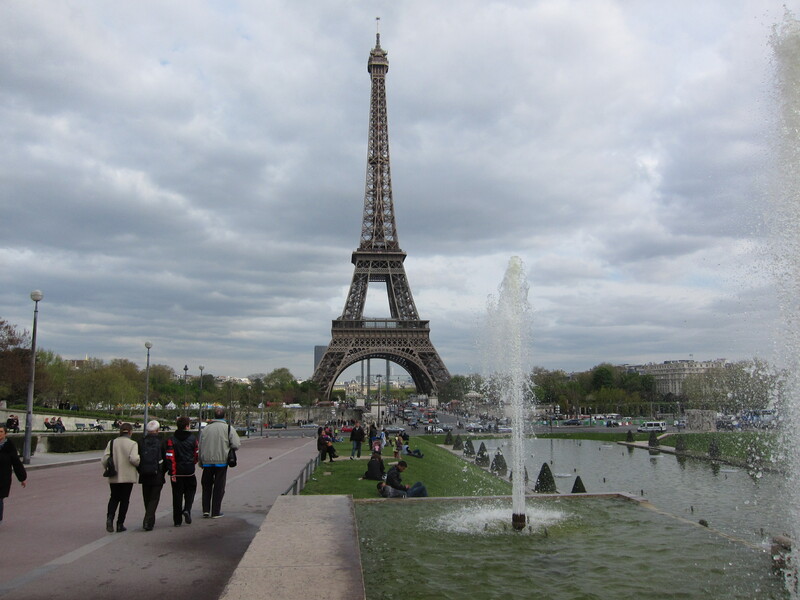 We decided to abandon the Axe Historique, however, and walk along Avenue Kléber to Place du Trocadéro and Jardins du Trocadéro, from where we could see the Eiffel Tower in all its glory. By this time it was almost 5pm, so we continued our journey across Pont d’léna and ended up at the Eiffel Tower itself, where we were reunited with sister-in-law and husband (we parted ways while at the Louvre). We found a place to sit and rest while admiring the underbelly of the Eiffel Tower, and compared notes while feasting on the macarons I had bought earlier. We headed eastwards to Rue St Dominique, and had dinner at Les Cocottes de Christian Constant. It’s a very small place, and apparently very popular, so if you want to get a table, make sure you get there by 7pm, which is when they open for dinner. We were extremely lucky – we arrived at 7:05pm and there were only two tables left. Shortly after we sat down, a long queue formed outside the doors. Oh, and they don’t accept reservations; it’s first come, first served. I can understand why it’s popular, though. The food was really good. 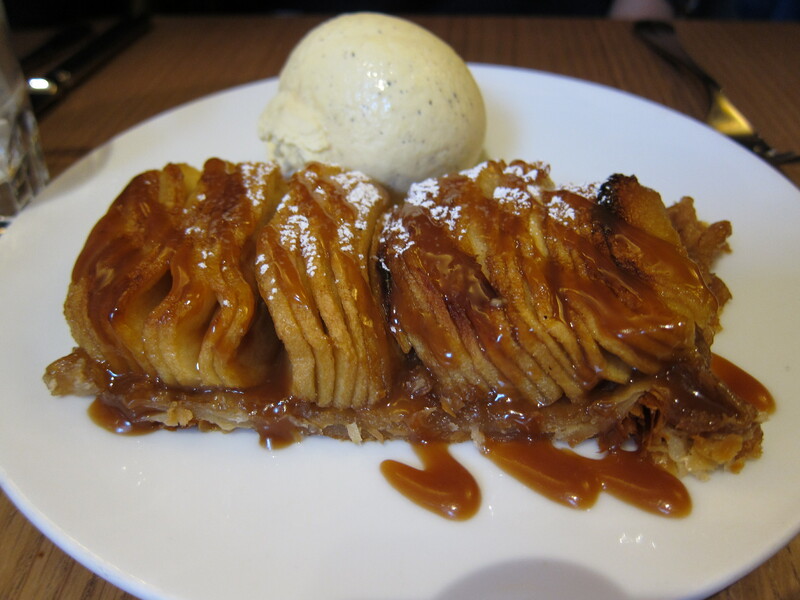 apple tart with vanilla ice cream (dessert). Every single dish we ordered was delicious. I swear, with every bite I could hear a chorus of angels singing in my mouth. Definitely check out this bistro if you have the chance. More information can be found on their website. With our tummies full and legs worn out, we headed north across the river towards Charles de Gaulle-Etoile, and took the the train back to the apartment. It was our final day in Paris, so we decided to mix it up between sightseeing and hitting the shops. Our first stop was Avenue de Montaigne – where most of the high-end, designer boutiques are. I told The Mister that I had no intention of buying anything, of course. I just wanted to do some *cough research cough*. Anyways, we did a bit of window shopping, and although I expected it, I was still amazed at the sheer number of East Asian shoppers/tourists in the shops. And more significantly, the purchasing power they wielded. Now, it hasn’t been that long since I was last in front of a Bloomberg screen, trading and managing a portfolio of bonds and keeping a close eye on economic data releases. Watching the portfolio flows in the course of our daily work only served to underline what we already knew – the extent of economic growth (and with it, political power) of the East Asian (and Latin American) countries. But knowing from reading data on a screen isn’t the same thing as observing it in real life. I found it almost… surreal. Anyways, from Avenue de Montaigne, we crossed the river at Pont de l’Alma and walked along the Seine to Notre Dame, passing Pont Alexandre, Pont des Arts and Pont Neuf along the way. 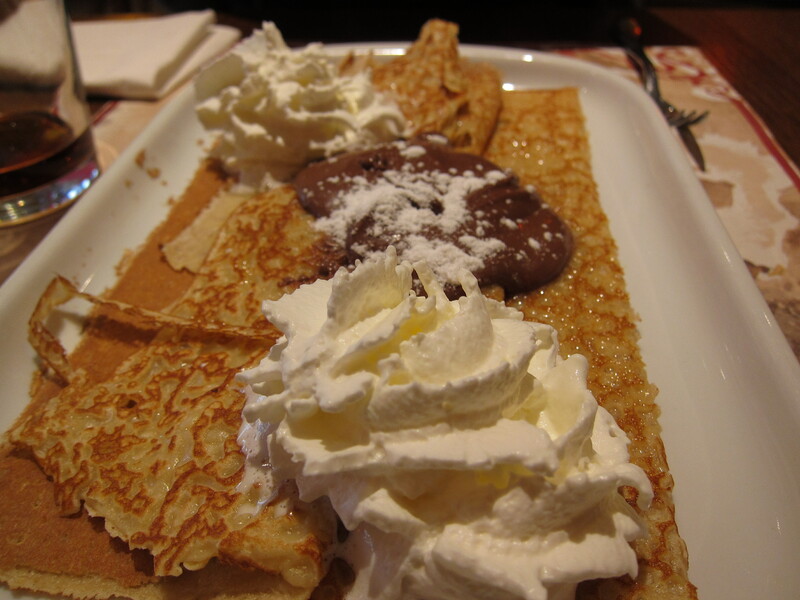 We had lunch at one of the many crêperies dotting the streets outside Notre Dame, and in true glutton fashion, had a crêpe main and a crêpe dessert. Salmon and cream cheese gallette. Can’t remember what the other one was. We decided not to go into Notre Dame; both the queues to go into the cathedral and up the tower were ridiculously long. Instead, we walked to Rue du Bucherie in the hip 5th arrondissement, in search of the famous Shakespeare & Company Bookshop. 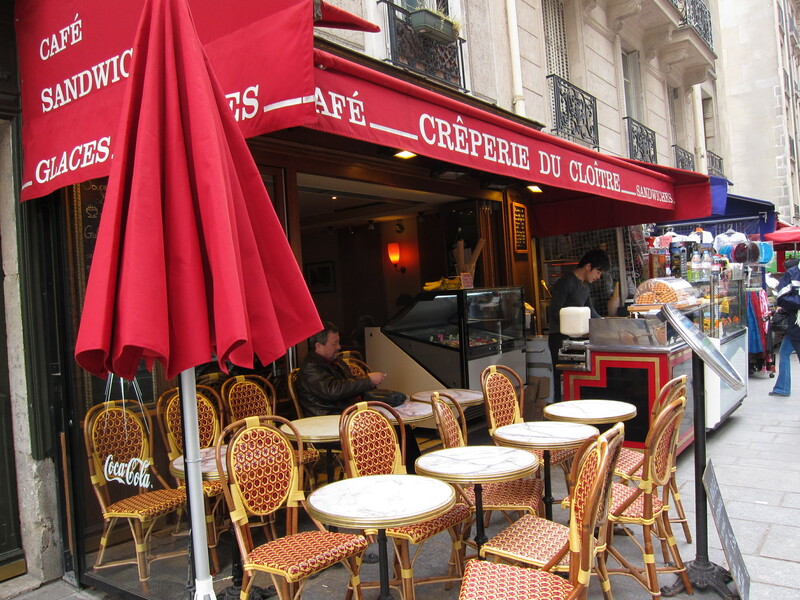 I have since declared it my favourite place in Paris. Ever. Crammed with seemingly rickety bookshelves, and piled to the ceiling with antiquated, second-hand and new books, the place is the stuff of a bookworm’s fantasy. You know the smell of old books you encounter when you’re in the inner recesses of a university library, where all the research journals are kept? That same smell pervades the antiquated book section of the store, and I love it. I would’ve spent an entire day there if I could, just browsing and flipping through the pages. 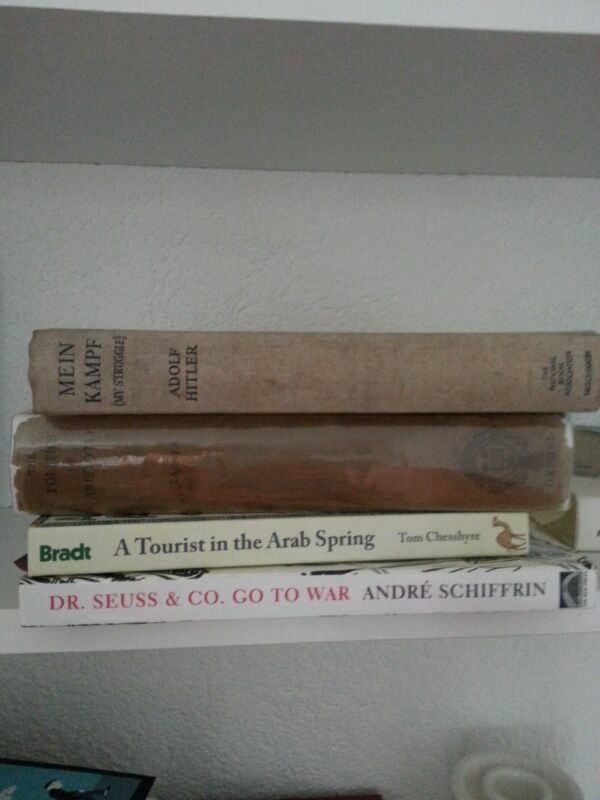 I couldn’t, of course, so I did the next best thing; I bought books – hoping I could bring that old book smell home with me. 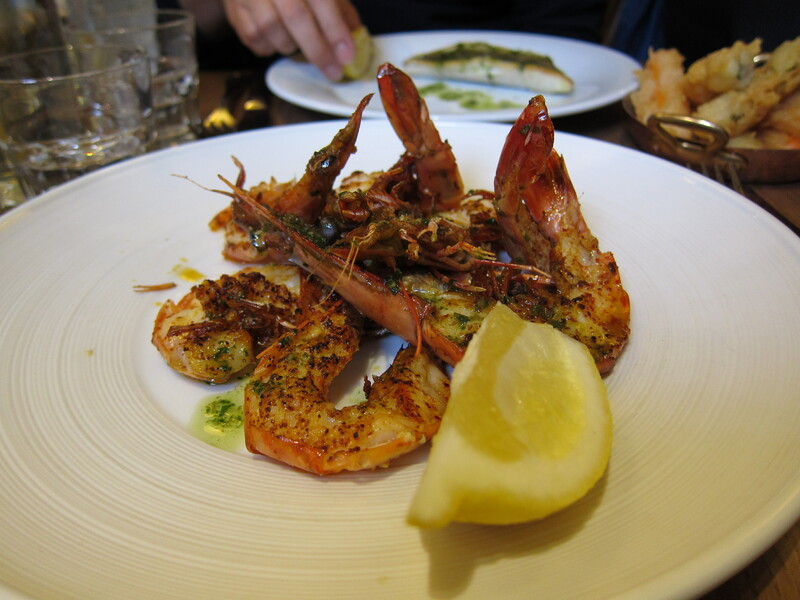 With my new acquisitions, we headed to Rue du Four in the St-Germain quarter. I needed to stock up on some French pharmaceutical skincare products, and City Pharma was the best place to do so. Stacked high and wide with lots and lots of different brands, I had to check myself constantly to make sure I didn’t go overboard. Done with my shopping, we wandered around the 6th arrondissement – perhaps my favourite area in Paris. Full of small, cobblestoned alleys lined with cafés and chic shops, it’s a lovely place to get lost in. It was getting closer to dinner time, so we walked over to L’Opera and Gallerie Lafayette, before heading to a nearby restaurant. We decided to have Asian cuisine this time; after two consecutive days of (delicious) French cuisine, having rice would be nice, we thought. 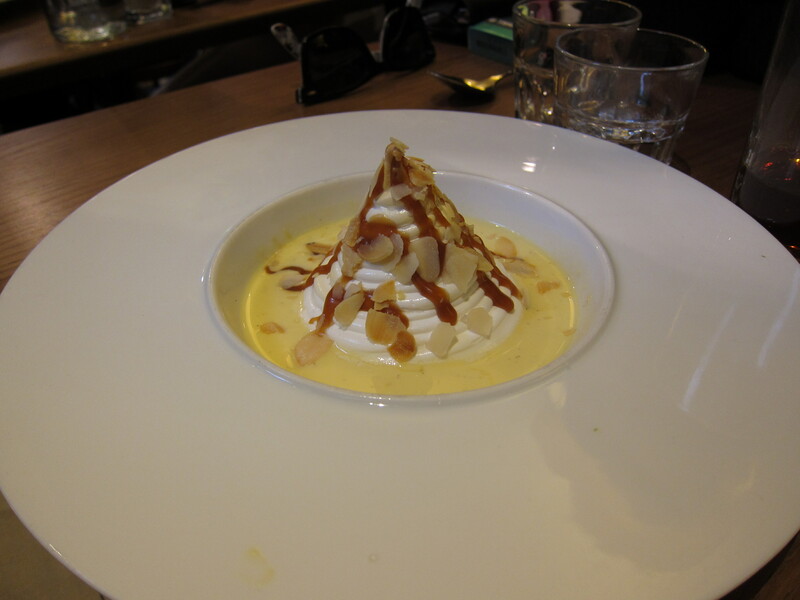 So we tried Yo!, a restaurant serving French-Thai cuisine, hoping for the best; fusion cuisine is always a risk. We were pleasantly surprised. 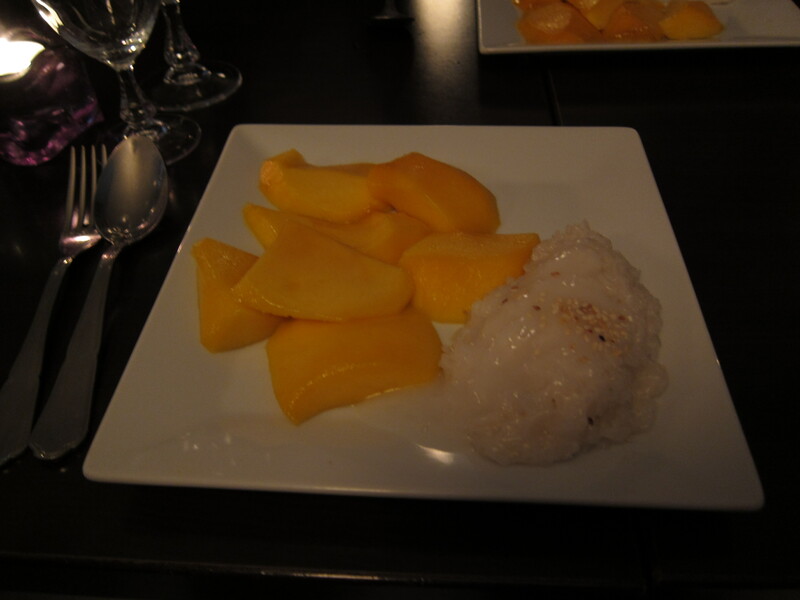 The food was actually pretty decent, and they even had mango sticky rice – a winning dessert in my books. We ended our day with this lovely dessert, and just like the previous two evenings, we headed back to the apartment completely knackered. We had come to the end of our Paris trip, and we had to pack and get some rest before our journey home the following morning. The next day, we packed our things into the car and drove back to Basel, bidding au revoir to Paris – hoping that, like the literal meaning of the phrase, we get to see each other again. And so concludes my travelogue post. I hope you enjoyed reading it as much as I did writing it! This is the first post in a series of three. Here, I give a brief introduction as well as a short video. The second post will be the actual travelogue. The final post will be a gallery of photos taken during the trip. Hope you have fun reading/watching! A few months ago, we went on a road trip to Paris. My sister-in-law and her husband were on a holiday in Europe and had included Paris as one of the destinations, so the plan was for us to meet them there, spend a few days doing the necessary touristy (*cough shopping cough*) things, and then head back to Basel, where they would continue their holiday.